If you've read my posts about Cookie Decorating Workshops, then you know how much I enjoy cookies and adding some artistic flair to them. 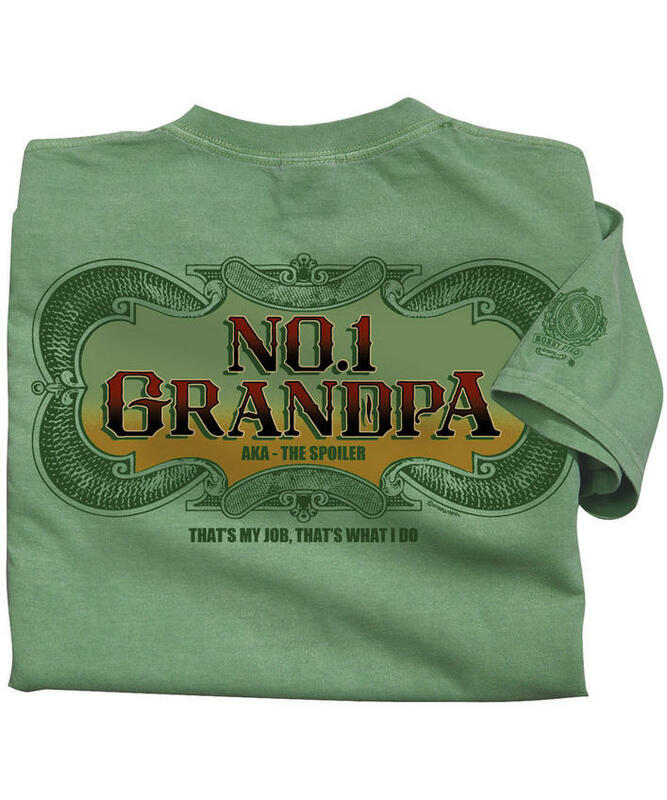 I originally saw these on the Jinx website and I thought they were hysterical. I knew The Jersey Momma's Boy would totally appreciate making these with me, so Santa will be delivering him a set this Christmas. The best thing is, they come in this adorable little tin that looks just like a real-life Minecraft chest. You can purchase these cookie cutters here or by clicking the image below. I love supporting local businesses, especially when they offer great customer service and amazing products. I have been purchasing Heidi's Homemade jams for several years now. She's from Staten Island, but I follow her when she's local in Jersey (she does a lot of craft shows and festivals, and was appearing at the Stangl Farmer's Market in Flemington for a while). Heidi does ship her jams if you send her an email with what you're looking for. What's so unique about Heidi's jams? Her flavors! No joke, she offers some amazing flavors that I actually eat on crackers just as a snack. My favorites: Monkey Butter (banana/pineapple/coconut), Pina Coloda (pineapple/coconut), Bacon Beer Jam (yes!!! A must try!! ), and Pineapple Habanero (it has a bit of a kick). I also adore her strawberry rhubarb. You can find Heidi on Facebook and if you email her she can tell you what she has available and where she'll be. She's worth finding, I assure you. Great teacher gifts, basket ideas, stocking stuffers or additions to party menus. Notice how my Monkey Butter is almost empty? I bought it yesterday! If you've ever visited the yummy store called Baked by Melissa (which is very popular in New York City), then you might be aware of how tiny cupcakes really can be! This cupcake cutie pan enables you to bake bite size cupcakes in the comfort of your own home! And I mean, really bite-sized. They are not mini muffin sized. Cupcakes come out about the size of a quarter and are quite the conversation piece, I assure you! Great for class parties or just snacking, they work even better if you own a cupcake decorating gun, too. You can purchase this pan through Amazon here or click on the product link below for more info. I own this pan personally and I am totally in love with it. I am going to try making cookies in it next! They no longer make the cupcake decorating gun that I used for these cuties, but I do recommend the Wilton version, which is pictured below. You can fill it with any frosting and easily decorate your cakes like a boss!! Who doesn't love Lego? I love their new Friends sets and all of the cool cafes and shops you can buy. I love the Mixels and their funky faces. I love the houses and cars- I could go on and on! But what I really love are functioning Lego products. Lego banks make awesome gifts, because once they're built, you can actually use them as real banks to put your money in. So you can build them and keep them on display for a purpose! How cool is that? There are two Lego banks available, the 40110 City Coin Bank and the 40155 Piggy Coin Bank. Both are under $15 on the Lego site or in Lego stores (which isn't a bad price as far as Legos go!). I'm a proud Lego affiliate, so click on the giant piggy below to purchase him or find out more info. So you might have read my past post about coloring books for adults. Don't knock it till you've tried it! Coloring really reduces stress and is a nice way to release your creative freedom. 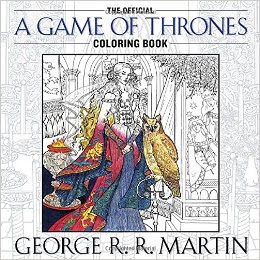 Game of Thrones fans will appreciate this book dedicated just to them, with pictures of house symbols, characters and familiar animals to color. You know nothing about crayons, Jon Snow! You can purchase it through Amazon here, or click on the product image below. Isn't it cool?? 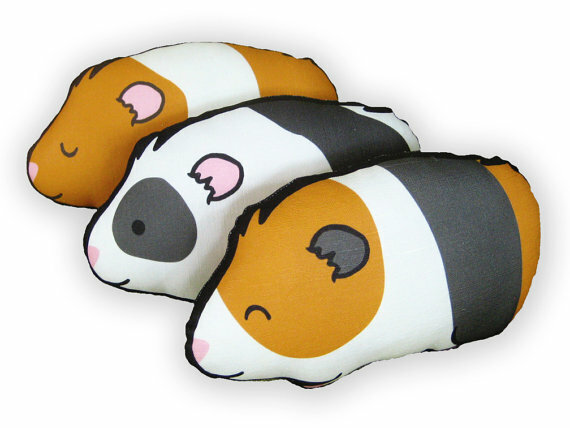 I pretty much love anything that Bubbledog sells, but my favorites have to be their adorable handmade animal pillows (look for guinea pigs, chihuahua, Boston Terriers and even ice cream pops) and their graphic tees. 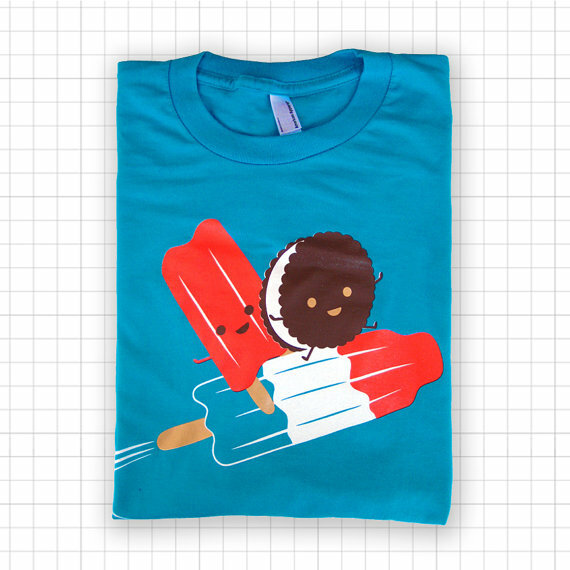 The ice cream ones are adorable!! Check out Bubbledog's website or their Etsy store for more items like these. Wouldn't it be cool to have your very own personal box of Pop Tarts? Well now you can! 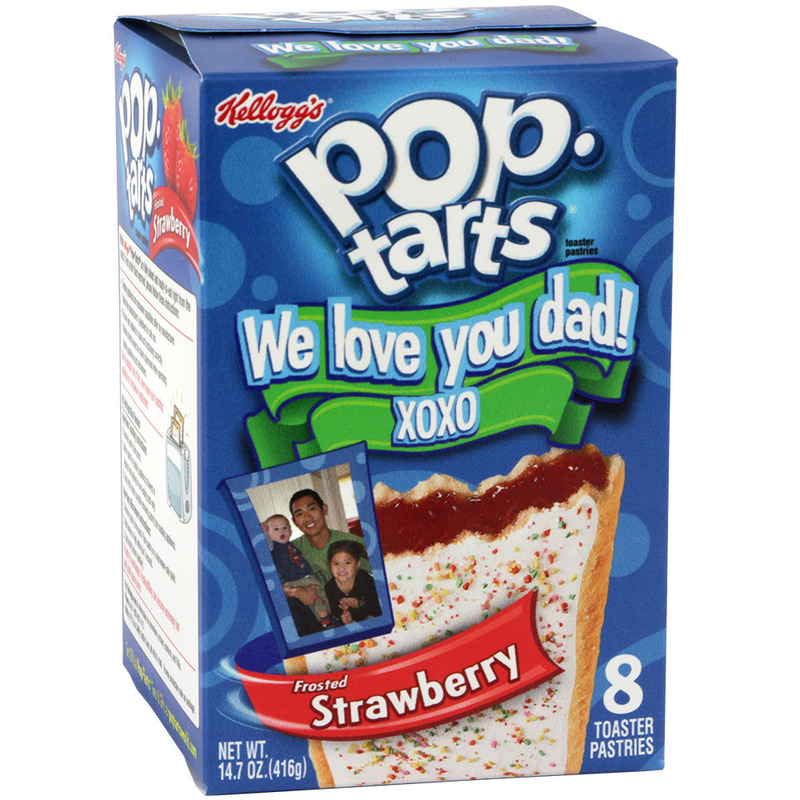 You can personalize a message on a box of Pop Tarts, add your own photo, and choose your flavor! For about twenty dollars, this unique little treasure can be yours. The only catch is that the box takes some time to personalize, so you won't be able to buy this one last minute. Be sure to check their website for the amount of time it takes to print the box, usually between 6-13 days. Order your special box o' Tarts here. I have loved James Avery jewelry for years. I wear a dog bone pendant every day with my Milo's name on it. Their work is truly unique and makes a gorgeous gift for anyone. Top notch quality, too! From adorable charms to gorgeous crosses, they have a little bit of everything. 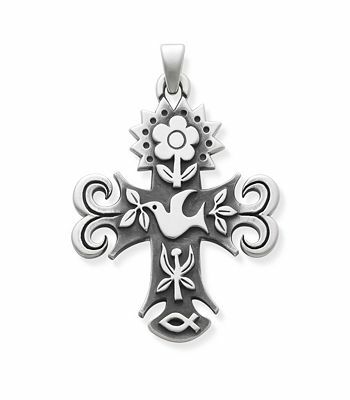 This pendant is new, and it's beautiful and eye-catching. 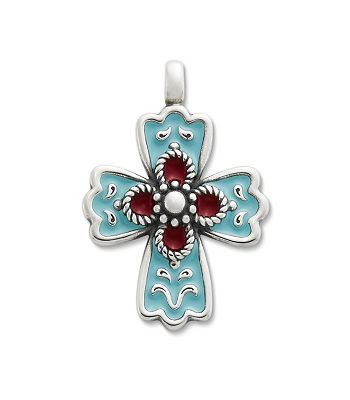 It's called La Rosa enamel cross. I like that you can have them engraved, too, which makes them even more special. Family game night takes on a whole new meaning when a little Yeti comes to town! 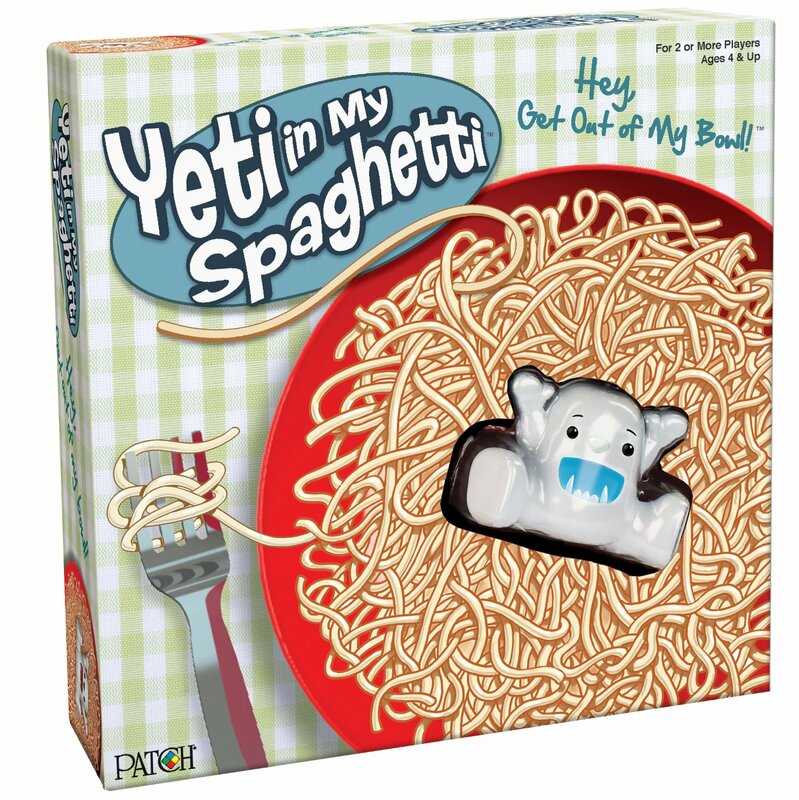 The goal is to try to remove the spaghetti pieces without letting the Yeti fall into the bowl. Basic concepts and great for ages 4 and up (might be a tad too easy for older kids). You can purchase the game through Amazon here, or click on the product link below. This also a fun game for classrooms or indoor recess play. What?? Yep, you heard me. Crazy Shirts of Hawaii has a t-shirt line that they color green using $165 in real recycled U.S. currency. They have other dyed lines, too, including a wine dyed line and a beer line, but the money one is my favorite. They are a little pricey, but they come straight from Hawaii in a nicely wrapped package, and they certainly are unique. They're also very high quality. I own a bunch of their shirts and they last for years. Do you have an avid reader on your hands? 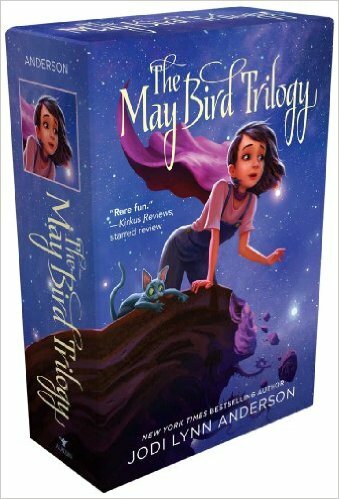 The May Bird series by Jodi Lynn Anderson is one of my all-time favorite book series for young adults (although I truly believe it's enjoyable for adults, too). May Bird is somewhat of a Tim Burtonish heroine, and she travels to the land of the dead, or the 'Ever After,' with her companion, Somber Kitty, and meets some amazing characters. It's dark but not overly frightening, in a way that young adults would truly understand! I think it's a nice diversion from the dystopia (yup, go google that word) themed books out there, as well as the vampire and witch books that seem to inundate every book store. You can purchase the trilogy here or just shoot for the first book here. I have written about Sweet Dani B several times, and I am a huge fan of her cookie decorating workshops AND her cookies! 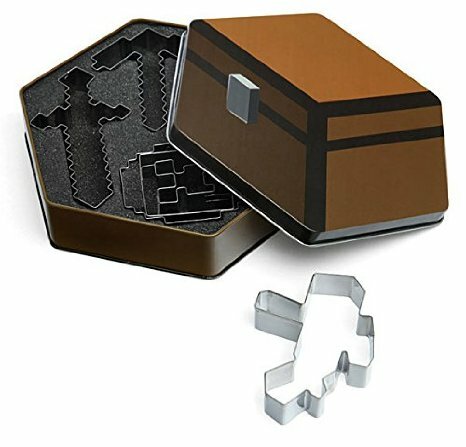 This was the first cookie cutter I ever bought from her line and I totally fell in love with it. It comes beautifully made from CopperGifts.com, and arrives nicely packaged in a clear bag with a cute insert. It makes a wonderful gift for any baker because it's unique and high quality. I swear you can even keep it out on your counter as kitchen decor! 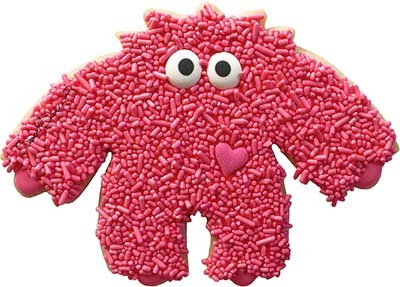 The hug monster is a guy for every season- you can make a Christmas monster (this year I'm going to make a Yeti monster, though), a Valentine monster, a Halloween monster or even a birthday monster. The possibilities are endless! You can purchase the Hug Monster Cookie Cutter here, or browse through the other cutters in Dani's line, too. So hopefully my holiday gift guide has inspired you to shop awesome. There are some unique ideas out there if you really look hard enough! And if anyone talks to Mr. Jersey Momma, please tell him that I'd really like a Stella and Dot bracelet. Or some Hello Kitty Vans (the shoes, not a vehicle). Thanks a bunch! *Disclaimer: I am an Amazon affiliate and Lego affiliate, so those links are affiliate links of mine. Read the Disclosure section of my site for more information. Okee dokee? These are such funny and creative ideas! Thanks for sharing these. Thanks, Theresa! I appreciate you stopping by! Fun ideas! That lego piggy bank is wild! My daughter would love it! It really is cute!! Thanks for visiting, Sue! Ok I know so many that would go insane for those cookie cutters!!! Mine craft is "the thing"
And they are SO cute, too! Definitely a good purchase for Minecraft fans! Thanks for stopping by! All wonderful ideas! I love the idea of bite size cupcakes :) Yum!